When Poppy learns that the love of her life, Freddie de Vere, is to marry someone else, she knows her heart will break. Devastated, she volunteers her nursing skills overseas to take her away from the painful reminders at home. But things are about to get much worse for Poppy. The journey to the hospital in Flanders is full of horrors, and when she arrives it is to find a spiteful ward Sister and unfriendly nurses. Despite her loneliness and homesickness, the dangers of frontline warfare soon make her forget her own troubles and Poppy finds that comfort for a broken heart can be found in the most unexpected places. 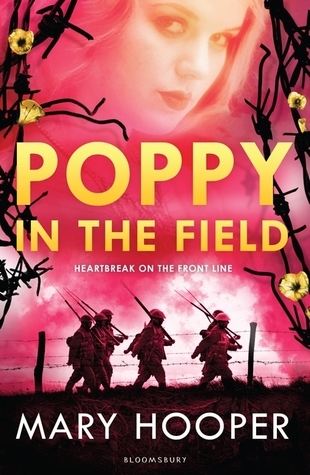 Brilliantly researched and inspired by real-life events, big and small, Poppy in the Field is a story about the forgotten bravery of women on the front line, told through the eyes of a young woman determined to play her part. British children's and young adult author Mary Hooper was born in 1944, in Barnes, South West London. She left school at fifteen, and went to work as a window dresser, and then as a secretary. She eventually returned to school, as an adult student, earning a degree in English from Reading University. Hooper began her writing career with short stories, publishing in women's and teen magazines. Her first book, Jodie, was published in 1978. She is married, has two children, and one grandchild, and lives in Henley on Thames, Oxfordshire. This book is the part two in the Poppy series by the same author, however having said that it in no manner influences the reader into making them feel compelled to read the first part to understand this one better. On the contrary reading this part makes you want to read the previous part before the author comes out with the next in series. Poppy comes across a very lovable character someone whom you grow close to as you turn pages and make progress in the story. Her sheer grit and determination is something that makes her stand out. The author has done impeccable research for this book and manages to make WW-I come alive brilliantly. You cannot help but feel the pain and apathy of war torn countries along with the pain the families of those soldiers go through. The most interesting aspect about this book is that though Poppy is the central character and plays a pivotal role in the whole story , this book just doesn't revolve around her. From time to time we have various come in and leave showcasing their stories without sounding abrupt. That according to me is the trait of a brilliant writer who knows the art well and is able to portray it too. WW-I is something I have just read about till now in books and maybe seen in a few selective Hollywood movies. Apart from that my knowledge about it is very limited. But in this book the in depth detailing done by the author has touched me in a very special manner. It was as if I was witnessing it all closely and I couldn't help but feel the pain involved in it. It makes you see war the way you would never see it and after reading this book you will never see it that way again. It changes the way you look at things. Poppy stayed in my mind throughout the weekend even while I had finished reading this book on Friday itself purely for its heart touching narrative and mind blowing depiction of facts merged with fiction. This book is about hope, love, strength, determination, dreams and most importantly it is about life. A strongly recommended read for everyone out there, this book has something unique in it. It has a soul. 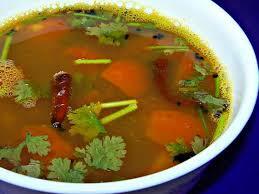 This book is like rasam - spicy, tangy, sweet and is food for soul.